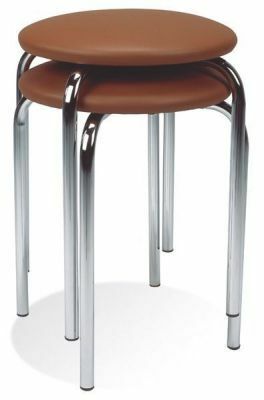 These bar stools are great value for money and perfect for adding simple extra seating to an already crowded bar. There are three types of top finish and three leg colours to choose from. Attractive low stool complete with sturdy chrome legs. Ideal for use in a busy bar area. Avaiulable made to order in artificial leather and band 1 &2 upholstery.